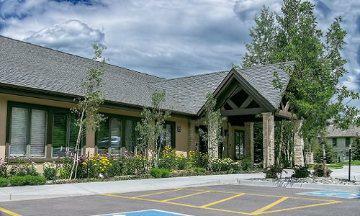 your family in the Vail Valley! Our Mission: To love and serve God as we lead people in a growing, personal relationship with Jesus Christ! If you are staying within the Beaver Creek Resort, the resort ‘dial-a-ride’ service will be happy to bring you to and from the service. 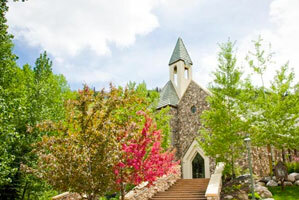 To drive to the Beaver Creek Chapel, go through the entrance gate at Beaver Creek, take Village Road all the way past the golf courses and the village. The chapel is just past the bus stop area on the left. There is parking just past the Chapel on the left side of the road. About the service: This worship service is primarily attended by second homeowners and our Resort Guests. This service is more contemplative in nature, and the music is traditional, mixed with the occasional praise and worship song. Directions: To get to the Edwards Chapel, get off I-70 at the Edwards exit, #163, and head south to Highway 6. Turn left and head east on Hwy 6 to Bull Run Road on your right (just past the Edwards Business Center). Take Bull Run Road to the top and you will end up at our driveway/parking lot. About the service: This is our local family service, and the location of our Youth and Children’s ministry. We have a staffed nursery and a cry room looking into our auditorium (if your little one isn’t quite ready for the nursery!). You can learn more about our Sunday Children’s and Youth ministry HERE. Our Edwards worship service is led by a praise & worship band (in other words, we rock a bit!). It is a great place to experience warm fellowship and spiritual growth in relationship to Christ and other believers. 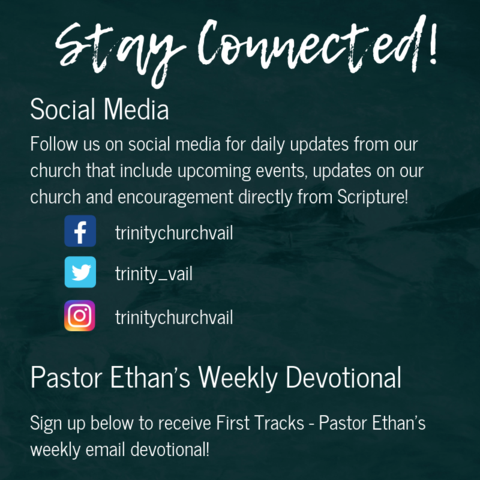 Sign up for Trinity's email newsletter to be delivered to your inbox!.